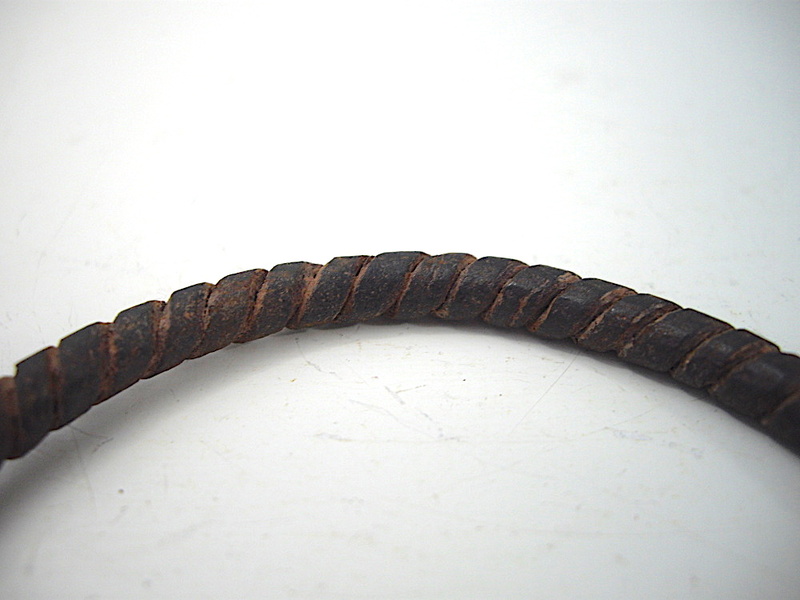 Scroll ended, simple twist, bangle/bracelet of the Dogon. 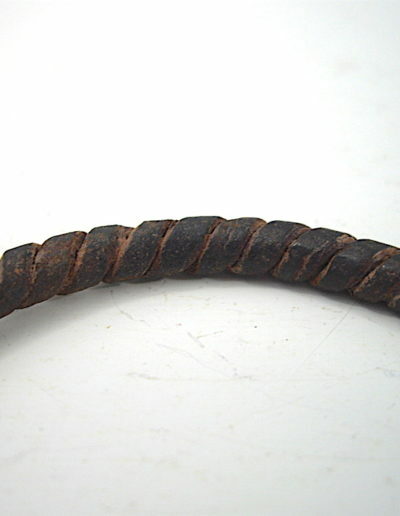 Lovely Dogon bracelet/bangle, twisted iron with scroll end detail. 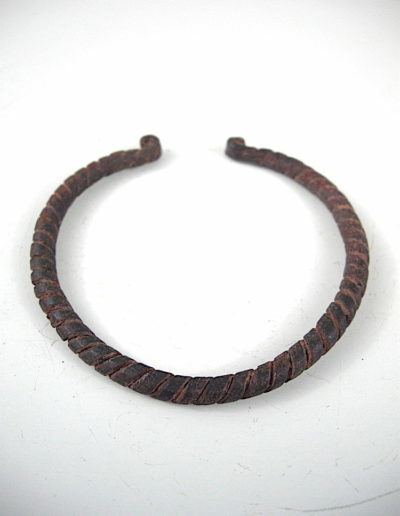 This bangle has a 6cm diameter with an opening of 2cm. 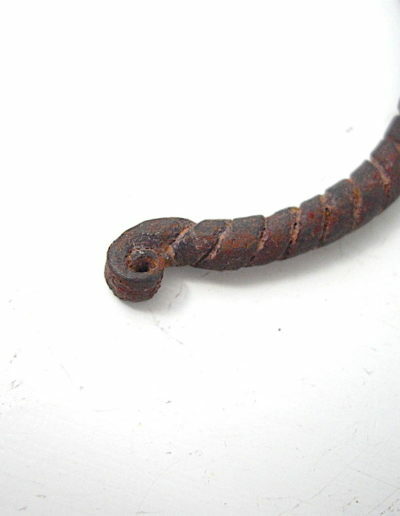 The iron has been crafted really well and this is evident by the overall neat twisted design. 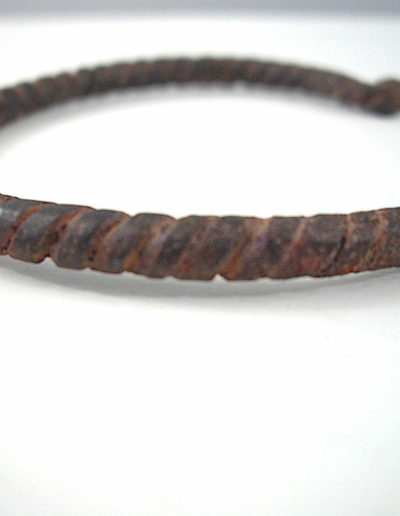 Either end shows a scroll design which adds a delicate feel to this Dogon bracelet/bangle. No signs of age deterioration are evident. 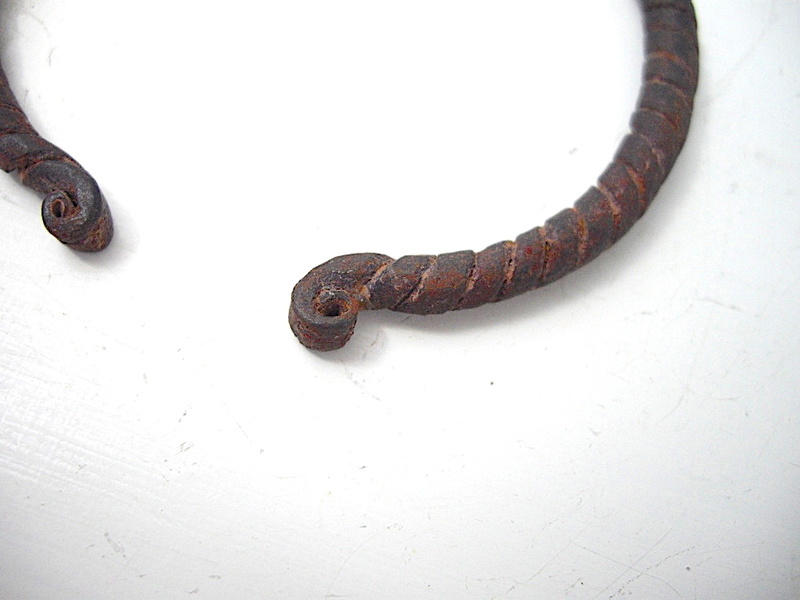 A simple but endearing item of Dogon craftmenship. Provenace: Ex Lampevelden Collection – Netherlands. 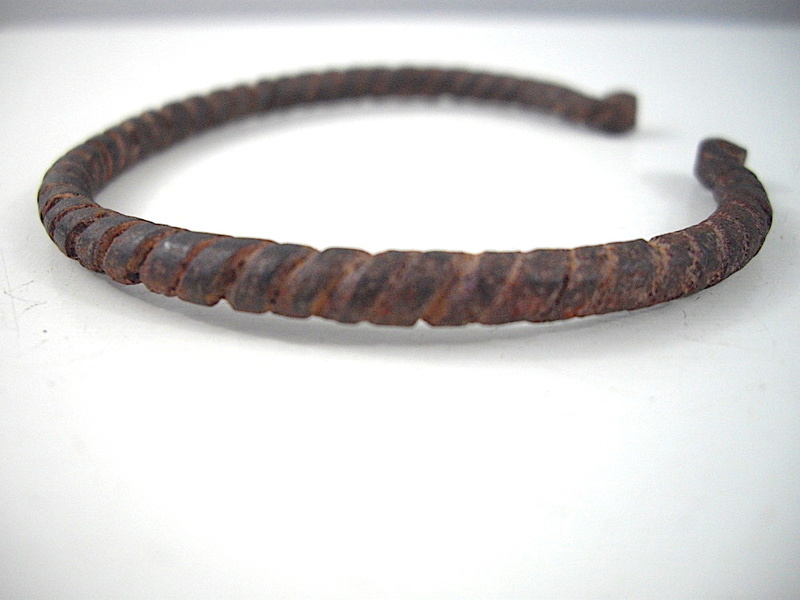 Jewellery in the form of bangles/bracelets among the Dogon often is a symbol of more than just a personal adornment. Examples of bracelets, bangles, rings, and necklaces might signify that the owner is linked to an ancestor or spiritual leader. 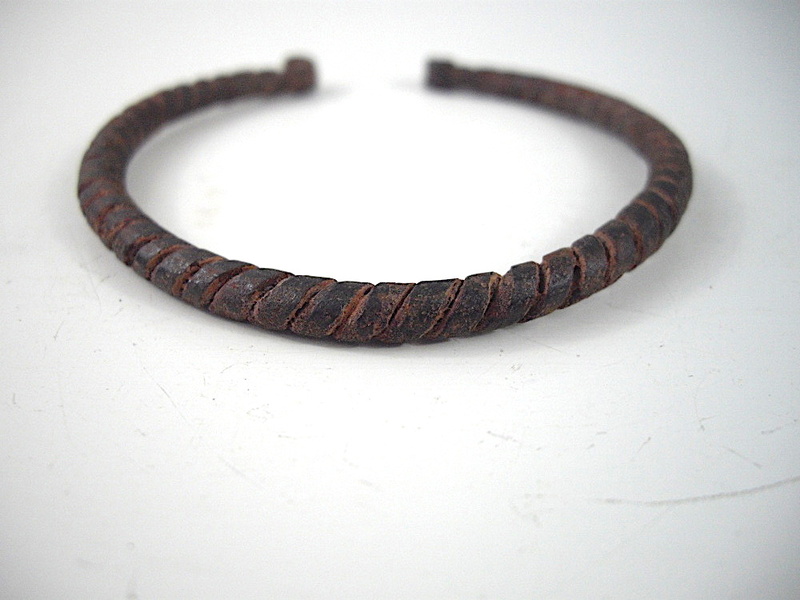 The identity may even signify the wearer as a priest or caretaker, keeper of a particular altar. 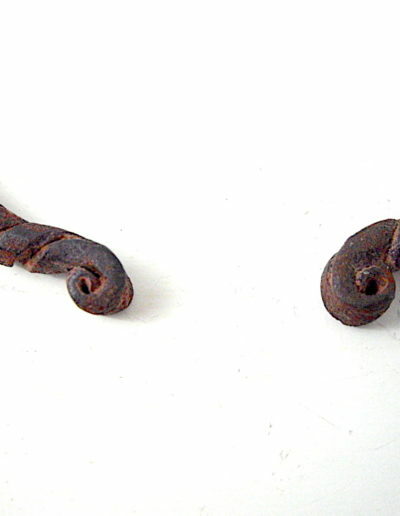 Such items are commonly worn by a person known as the Hogon the spiritual leader of the village. The Hogon is a religious figure as well as a temporal authority. 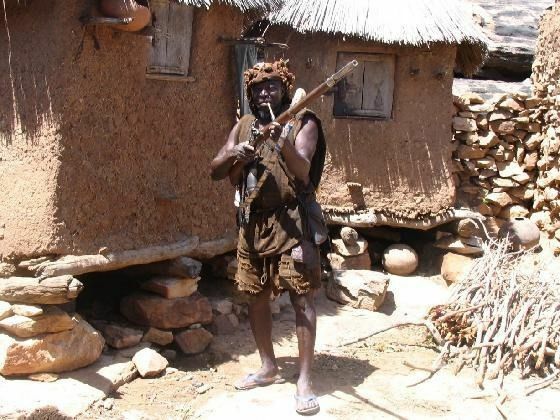 The Hogon may be hereditary or may be chosen from among the village elders—custom varies from place to place. The Hogon is always a man. 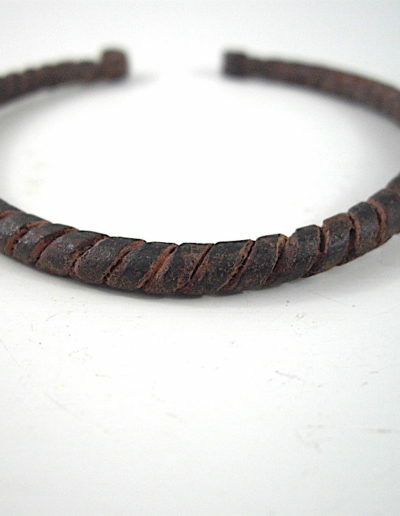 After being chosen, a Hogon must pass through several months without washing or shaving. After initiation, he wears a red cap and a pearl bracelet. Hogon live alone and should be celibate, but a village girl may act as a maid. Nobody should touch the Hogon. 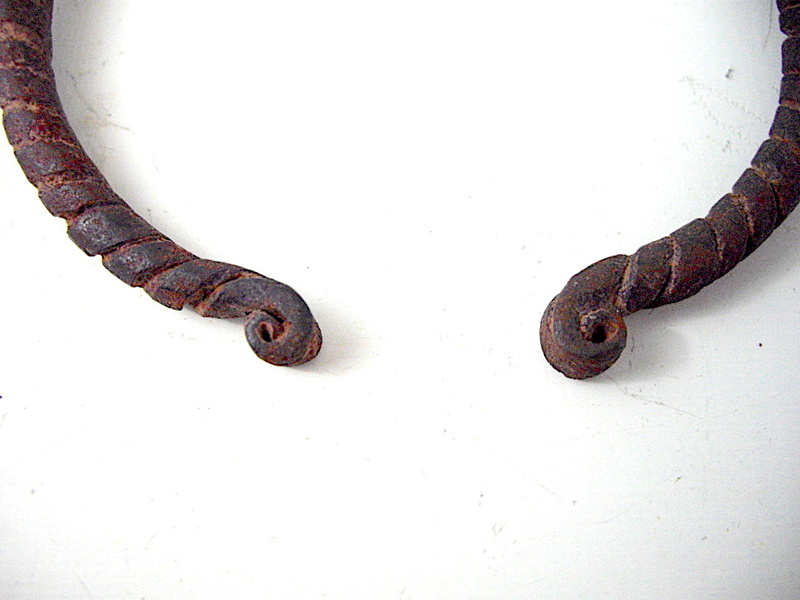 These bracelets were also used as fetishes, objects believed to have supernatural powers and therefore could protect the wearer hence it is an item of jewellery often worn by the hunters within the village.